Even though I’m a Millennial, I never experienced the embarrassing situation of having to move back in with my parents after college. Of course, my degree was in Mechanical Engineering and not the degree the main character received from Columbia University that left her with no job prospects. If I were to describe the style of awkward comedy presented here, it would be “schadenfreude-esque.” I suppose it’s funny to watch someone fail in the ways presented here, but it’s more of an amusing chuckle than a laugh-out-loud series of situations. In the end, this is still your basic “romantic comedy” where the main character can’t communicate worth a darn and leads her to learn hard lessons about life. While I did like the interweaving of social media and technology into the narrative, I don’t think it went far enough. Who were the journal entries for? If they were for the main character to vent to herself, why did she need to put distracting footnotes (that jarred the flow of the story) to tell the reader something the character would have already known? It would have made more sense if the journal entries were blog posts instead since they’re already breaking the 4th wall and addressing the reader directly. At least this was a minor qualm when compared to the character herself. The main sense I got from the main character is that she’s a whiny and privileged child. She procrastinates, is too picky, holds grudges, and just plainly acts like a teenager more than an adult. In fact, there are even a few characters who call her out on these things when she complains about wanting to be treated like an adult without having any proof that she’s putting the effort forth to be one. Of course, her mother is also an obnoxious character who doesn’t have much character growth either, so I suppose it’s a family problem. 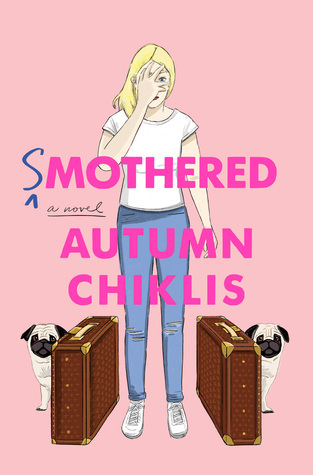 A somewhat amusing story about becoming an adult, I give Smothered 3.0 stars out of 5.